The first reason Americans love Mexican food so much is that it contains fresh ingredients from all food groups. Mexican cuisine is well balanced, nutritious, and delicious. With each dish, you can protein, grains, and vegetables. The second reason Mexican food is so well loved in the U.S. is that it’s flavorful. Mexican food is packed with spices and natural flavorings. There is no such thing as bland Mexican food! Moles, salsas, guacamoles, and pico de gallo can be found on many popular Mexican dishes, adding extra flavor and fun to every dish. Everybody loves a deal, and Mexican food is notably affordable. Most Mexican restaurants give diners a lot of food for their money. Many platters of food cost less than $20, so Americans can eat a full meal without breaking their budget. Another reason that Mexican food is so beloved by Americans is that it’s an important part of America’s cultural heritage. Mexico borders the United States, and there are more than 57 million Hispanic people living in the United States. Of those people, two-thirds are of Mexican heritage. Much of Mexico’s culture and traditions have made their way to America, including their delicious and culturally rich food. 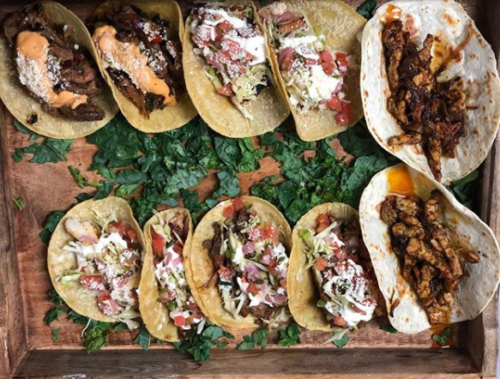 To enjoy Mexican cuisine in Port Jefferson, New York, head over to Barito Tacos & Cocktails. Find our restaurant at 201 Main Street today! We can’t wait to share our Mexican food with you! Best Mexican on Long Island | Why is Mexican Food so Well-Loved?